I've been thinking a lot lately about what's next. Working on Fuzzy Knits was a huge project, and I am super proud of the results, but so happy that it's done! Countless possible projects have been dancing around in my head, each trying to shout louder than the other that, "this is what everyone wants to knit next!" I think it's a little too crowded in there right now, and I just can't decide what I want to work on. Nothing much seems inspiring, in spite of the entire page of toy ideas I have written down (yes, a full page!). Everyone I ask has their own preference, and all I can muster is a lack of enthusiasm. Although somehow, while just casually thinking about my yarn stash, I think up a fabulous new idea that would be so cute! Through all of this confusion, I've kept thinking about the stuff I really miss doing, because designing has been taking up all my time for the past year. 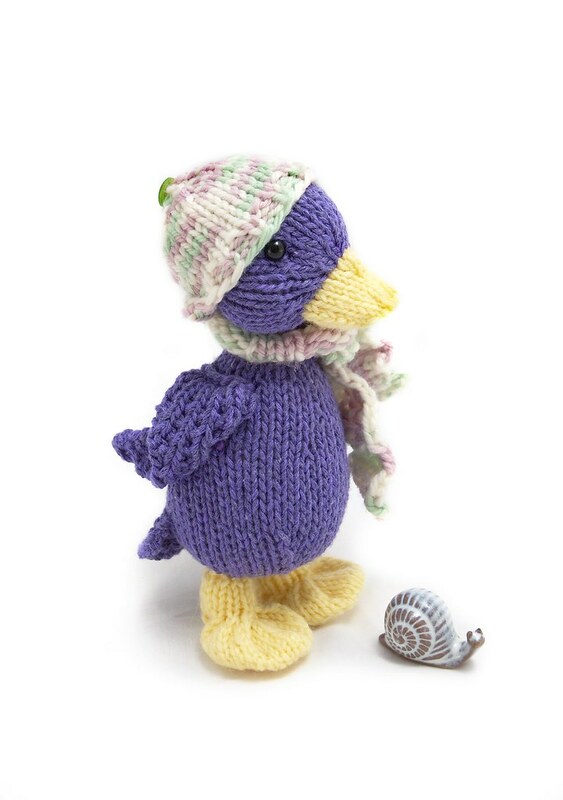 I really miss just knitting toys for the fun of it - creating something small and cuddly with it's own personality. Something I can work away at, without writing down every detail. Changing little bits here and there, to suit the picture I have in my head. And then, sending them out into the world to be loved by someone else. 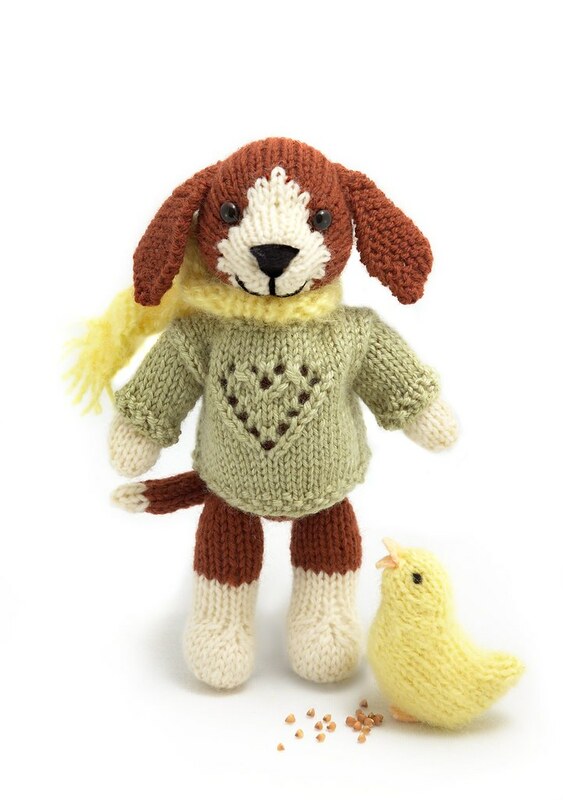 As much as I enjoy having oodles of knitted toys around the house, it does make me a little sad that they will never be snuggled, chewed on, squished, cuddled up, or carried around by someone who loves them*. Or, that they might have a special place with someone older, who will look at them lovingly every day, and perhaps smile about some happy memory that the toy brings back to them. 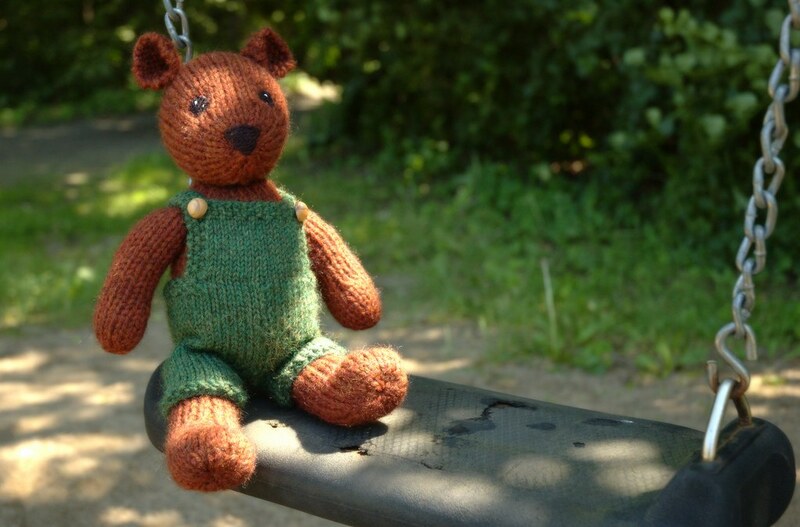 So for the next few months, while I'm also busy with my garden and rapidly growing boy, I will be just knitting toys. The new ideas will always be there, and I will probably work on them a bit when I feel like it. But I think I have plenty of cute patterns to keep everyone busy for long enough to give me the break I need. Besides, I still have to release the rest of individual designs from Fuzzy Knits, which is quite a lot in itself! 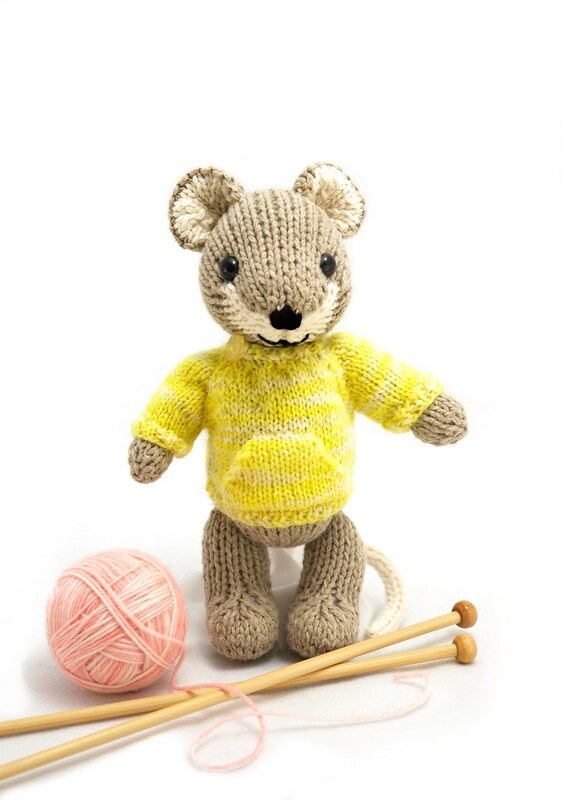 *Lev has a nice selection of knitted toys for his very own, so don't worry! Most especially, this particular bear is quite the worse for wear. Everything is slowly coming together on the second edition of Fuzzy Knits. It's only taken us, what, a year! Sheesh, I suppose that's normal for a regular published book, but it seems like ages for me. I guess with a regular book, you also get to rely on others for a bunch of the work. Doing my own editing and proof-reading is a tad scary - hoping I don't miss any serious mistakes, that everything makes sense, that you can all follow the instructions! Thank goodness Mr. Mitten has the patience to do all the rest of the formatting in the publishing software, because I don't know if I would be up to that. I've also taken all the photos myself, with Mr. Mitten doing the photo editing. We spent all day Sunday on the 12 pattern photos, and I think they turned out pretty good. We went for a much simpler style than in Festive Knits. I just have to get a good cover shot now, and then we're ready for the first printed copy! All this variety has me wondering what you would like to knit next? I am a little tired of the same old thing, hence the Bunny Puppet. It's cute and cuddly like my other toys, but the design is almost totally different. However, I know you all like the cute animals with clothes, and there is no end of animals that could be worked into this format (more or less successfully, although this often depends on how inspired I feel). I had a few ideas of what I wanted to do this year, but now I'm not too sure about how to move forward from the mammoth project Fuzzy Knits turned out to be. I'd really like to take a little break for Spring planting, and enjoy being outside with my munchkin. 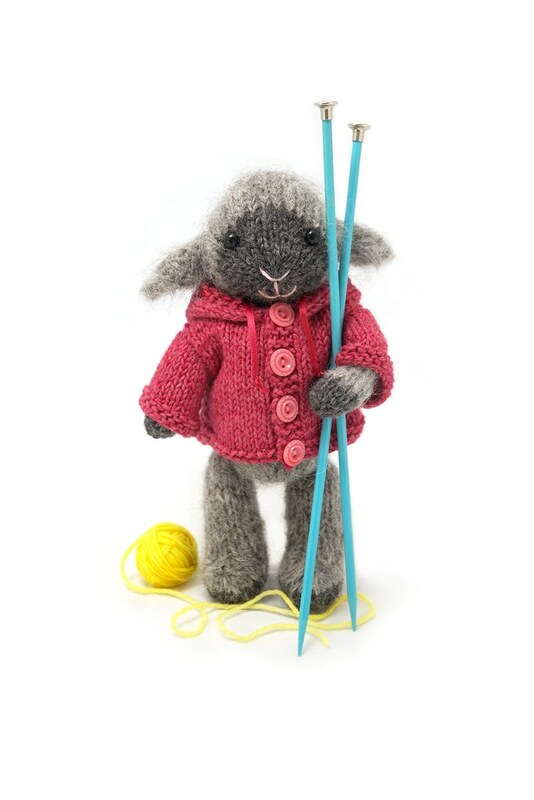 But, I also want to keep my brain working on new things for you, even if my knitting needles take a rest. I wish I could design all the things people ask for, and all the things I think up myself, but my knitting time is so limited now... I need to figure out the best idea, if I can, and concentrate on that. So, any input you are kind enough to give me would be very helpful!